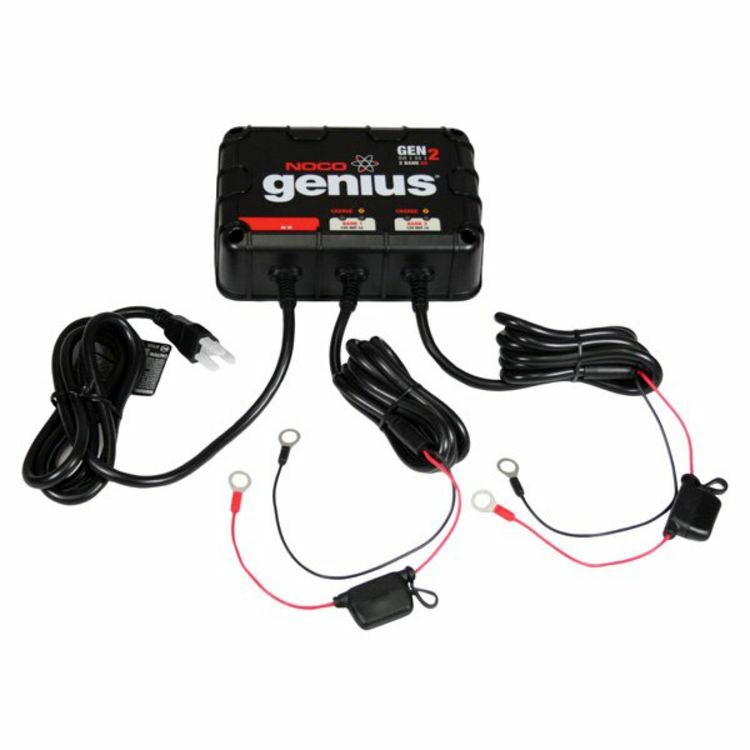 The GENM2 On-Board Battery Charger offers the perfect mix of high-technology and rugged construction. With a fully-sealed, waterproof housing, the GENM2 can be mounted directly onto a variety of applications, including boats and a wide range of equipment. Guided by an onboard microcomputer, the GENM2 monitors battery activity for safe and efficient charging, automatically minimizes energy consumption and provides redundant levels of safety protection, including spark-proof technology, as well as reverse polarity and overcharge protection. 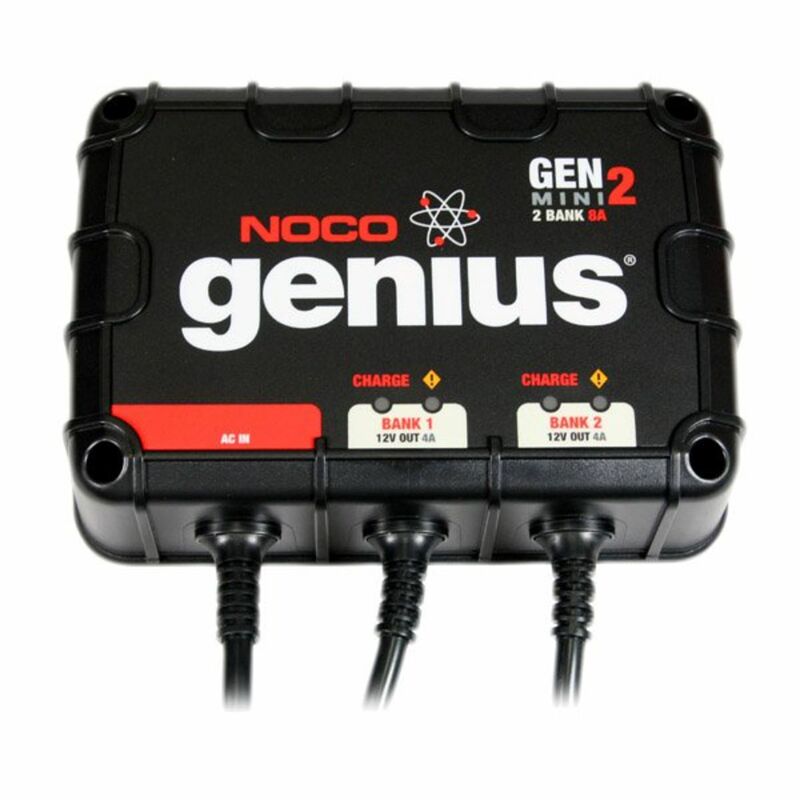 8 Amp (4 Amps per bank) for charging 12-volt marine and deep-cycle batteries from 25-230 amp-hour. Safely all types of lead-acid batteries, including Wet Cell, Gel Cell, Calcium, AGM, Enhanced Flooded Battery or any Maintenance-Free Battery. 100% completely sealed and waterproof to protect against the most extreme environments and rated at IP68. Charge 2X faster than ordinary marine battery chargers in a compact, lightweight form factor. ETL approved, including ISO 8846 marine standards and ignition protected (US Coast Guard 33 CFR 183.410). Battery Capacity: Ideal for Batteries Between 20 to 120 Amp-Hours. Suitable for Maintaining All Battery Sizes. Do you own the GENM2? Please, tell us what you think about it. It helps us provide you with better products. Please note that it may take up to 72 hours for your review to appear.